and a built-in mini DVR. It can record around 2 hours after recharging for full of energy. No drivers or outside power source needed. Ideal for Home Safety Surveillance and Security Nanny. 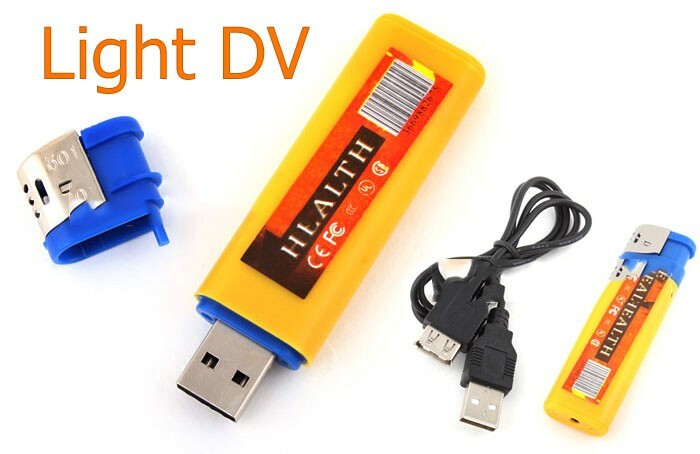 This lighter style mini DV, with the easy one button operation and directly access USB terminal make it is the best choice in the hidden market! Don't miss it! 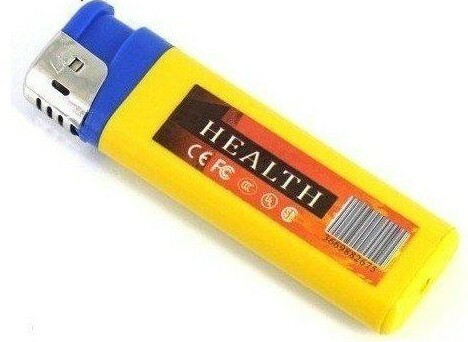 This device is not a lighter, it does not light, it only looks like a lighter. 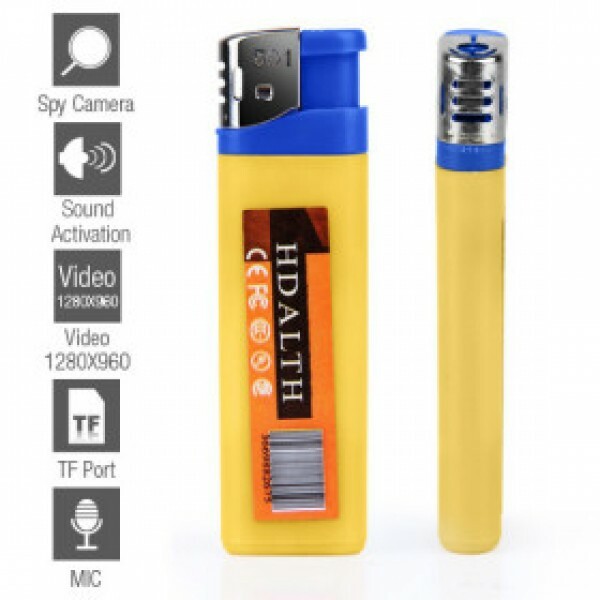 Built-in lithium ion battery with up to two hours recording time and two hours thirty minutes standby time. To Charge the Lighter camera, connect it to the computer using theUSBcable provided. When charging, the light blinks slowly, and is fully charged in approximately two hours. Notice: when battery power drops below 1% the lighter camera will power down. Please confirm that you have inserted a Micro SD card in the slot (up to 16GB). Press power button gently for 2 seconds until the indicator light begins to glow as the camera powers up. 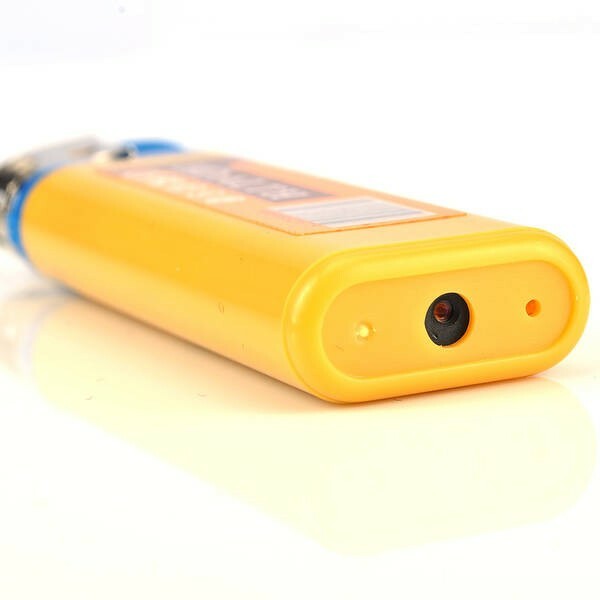 The light will come on, and then go out shortly after indicating that the device is now recording in SOUND ACTIVATION MODE. If the sound level exceeds 60dB, recording will start for a minimum of 1 minute and stop 1 minute after no further sound is heard. 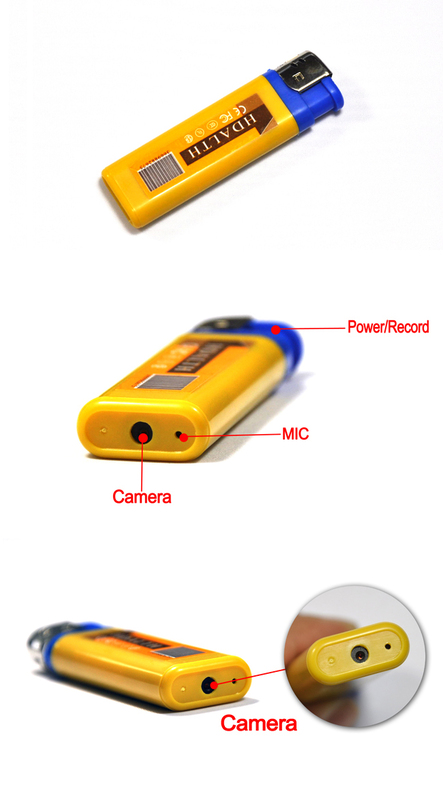 There will be no visible sign that the lighter is recording. Press the button ONCE in order to end SOUND ACTIVATION MODE. The light will come back on, flash a few times to save videos if necessary, and then go solid to indicate that the device is now in standby mode. This can only be done whilst the lighter is in standby mode. Whilst In standby mode (light glowing) press and hold the button only until the light begins to flash (only about 1second!) and then let go. The light will continue flashing to confirm the video is now recording. To stop and save the video press the button again. Recording stops and the light comes back on. The file resolution for video is 720x 480. Fps: 29~30fps. a. Please make sure a T-flash (Micro SD) card has been inserted, if not, it will power off automatically after 15 seconds. b. The maximum capacity of T-flash card that can be used is 16GB. c. Saving the file takes a small amount of time, so please don’t press the button continuously, as this may save an incomplete file. d. When you make a video, please keep the lighter as still as is possible under the circumstances and use sufficient illumination to ensure that the video is as clear and crisp as it can be. The device comes with a feature which embeds the current time and date on to your captured photos and videos. To set the time and date of the device, please follow the instructions below. 1. Insert the lighter+SD card into aUSBport or Place the SD card into your computers card reader. 2. Make sure you are on the “root” (top level) folder of the SD Card. This example would set the unit to 2pm on the 25th of December 2012. You can customise the information to represent the current time in your area. Save the changes to the file (TAG.txt) and place the SD card back into the Camera device. When you next turn on the device it will automatically read theTAG.txt file and change its internal date and time settings to the information you have provided. a. When you shoot video without enough power, the file will be saved automatically, and then auto-power off. b. When the disk space of camera lighter is full, the file will automatically save and the unit will power down. 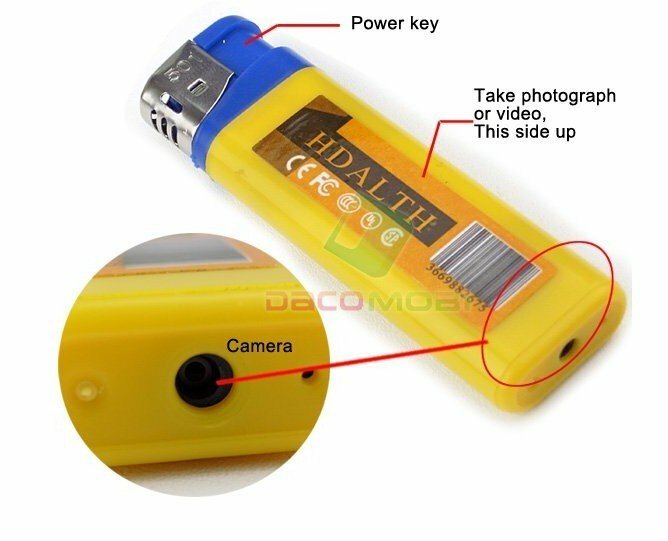 You can connect the lighter camera to theUSBport of your computer to view the photographs or video. 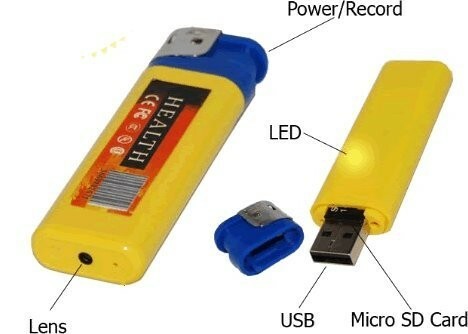 You can also use it as a memory stick. You may need to press the reset button when you have unplugged it from your computer to return it to camera mode. a. If your computer does not identify the camera within 30 seconds remove the camera from theUSBsocket press the reset button and insert it again. b. It is better to copy the video files to your computer before playing them. If you play them back directly from the memory card they may stutter or pause. If the Camera Lighter starts to act unusually, press the Reset button with a paper clip.